Big box warehouses like Costco have many advantages, from bulk sizes to fantastic store brands, but the $55 membership fee isn’t one of them! While I know several people who split the membership cost with family members, neighbors, roommates and friends, it’s still nice to avoid the extra cost. And you can — if you use these strategies to shop at Costco without a membership. Here are six clever ways to enjoy all the benefits of Costco without paying for an annual membership. Here’s a big secret Costco probably doesn’t want you to know: You can shop without a membership as long as you have a Costco Cash Card. “Non-members may use the cash cards to shop at any Costco location in the United States, Canada, Puerto Rico and online at Costco.com or on Costco.ca,” says Costco’s website. Only members can buy Costco Cash Card from the store’s website, but that’s OK. Use this trick to save even more money: Buy your Cash Card on eBay or from a discounted gift card site like Raise. It doesn’t matter how much is on the card; even a card with $2 left will get you in the door and pay for part of your purchase. Then you can use cash, a debit card or an American Express credit card to pay for the rest. Prescriptions can be expensive, but you can usually find cheaper prescription medications at Costco. By law, you don’t have to be a member to access pharmacy services. Go ahead and fill new or existing prescriptions at the Costco Pharmacy. Don’t feel like leaving the house? Order online and you’ll get your prescription within six to 14 days via free standard USPS shipping. Not all warehouses offer these services, but if yours does, Costco is a great place to go when you need to get your ears or eyes checked by trained professionals. The same law that helps you access the pharmacy means you can use these services. Many stores also hold special events to promote hearing and optical products, and you can often attend these events without being a member. However, if you want to buy glasses or hearing aids, you’ll need to either purchase a membership or use a Costco Cash Card as explained above. Say you are looking for the best deal on a TV or iPad, but you don’t want to buy a membership for just one purchase. 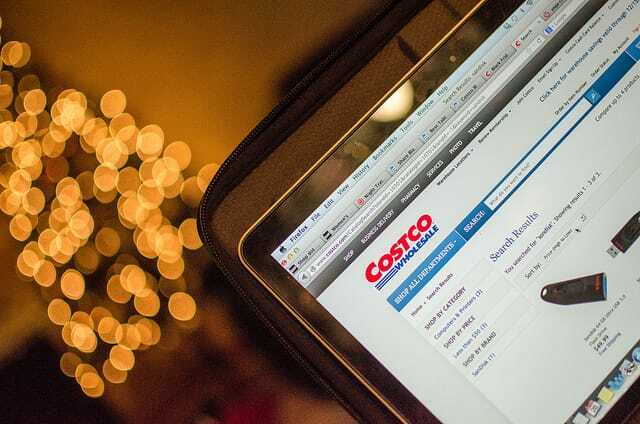 Look for your item on Costco’s website — non-members can order online, though you’ll want to consider the price. Without a membership, you’ll have to pay a 5% fee on your purchase, which means this trick only makes sense if you’re spending less than $1,100 (meaning the surcharge will be less than the $55 annual membership). However, the website accepts all major cards, so you can use your favorite rewards credit card to make your purchase. Costco pizza is so good! For only $1.99, you’ll definitely want to try a slice. Or to feed a few more mouths, like at a birthday party, the large pizza is only $9.99. If you’re more of a hot dog fan, the $1.50 dog-and-soda combo is a great, cheap lunch. Many warehouses have outdoor food courts, which you can visit as a non-member. Remember to bring your wallet, though, as they only take cash. Not sure whether Costco will help you save money? Take a stroll around the store and check out prices on the items you buy most often to see if the warehouse really is cheaper than your local grocery store. Ask a customer service for information about membership, then mention that you’d like to look around for a few minutes. If you see enough savings, you might be tempted to spring for the membership after all! Your Turn: Do you know any other tricks for shopping at Costco as a non-member? Or have you decided to a membership makes sense for you? As a Costco member for 10 years and a blogger at Savingsmania.com since 2003, Diane Schmidt has helped friends and family get great deals at Costco. Besides loving their products and prices, she has saved at least $7,000 shopping there.